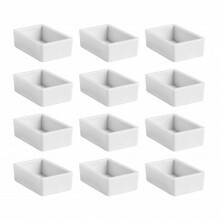 This Empty Metal Watercolour Box will hold 12 half pans or 6 full pans. Create your own custom set of watercolours with a half pans, full pans or a mixture of the two. Q. What are the dimensions of the closed box in cm? Thank you! Q. Will Winsor & Newton artists quality and/or Sennelier fit this box? A. 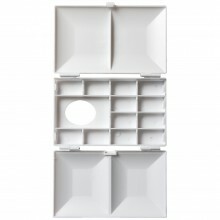 This box will hold both Winsor & Newton and Sennelier pans. Q. 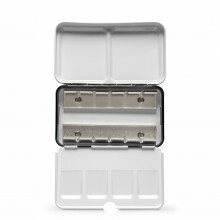 Will this box be ok for Shmincke Horadam Artists full pans and half pans ? A. 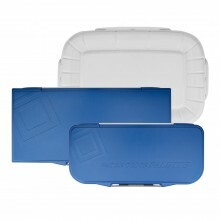 This box will generally hold most standard size half/full pans of any brand including Schmincke as the metal frame side is bendable.